After spending two decades in England, celebrated travel humorist Bill Bryson (Robert Redford) returns to his native United States. In an effort to reconnect with his country, he decides to hike the 2,200 stunning miles of the Appalachian Trail. 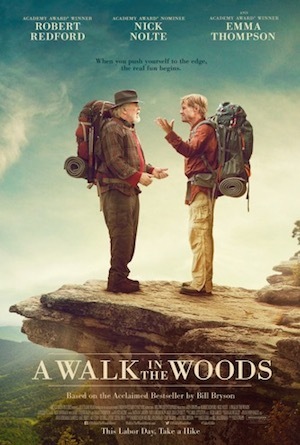 But while he had envisioned it as a trek of relaxation and tranquility, it becomes something entirely different when his philandering, former friend (Nick Nolte) joins him on the trip.